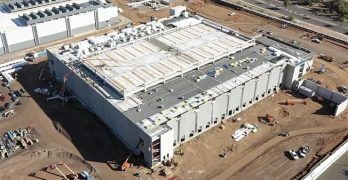 Phoenix is in the midst of a data center building boom, and is drawing some of the biggest names in hyperscale computing. The Phoenix data center market is home to hundreds of megawatts of potential data center capacity, and demand is growing. 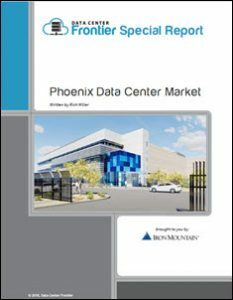 Download the new Special Report covering the Phoenix Data Center Market. Businesses, colocation providers and data center users have long flocked to Phoenix as an alternative to the California market, which comes with higher costs and disaster risk. 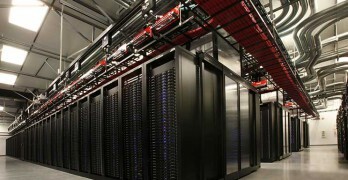 But today, the Phoenix data center market is becoming a market leader in its own right. The Phoenix data center market is currently home to 1.61 million square feet of commissioned data center space, according to market research from datacenterHawk. Phoenix is the sixth-largest market for data center capacity in the U.S., trailing Northern Virginia, Silicon Valley, Dallas, Chicago and New Jersey. Growth trends indicate the Phoenix data center market will join the Top 5 markets this year, with total capacity that moves it past New Jersey. Mesa and nearby Chandler, Ariz., have become quality sub-markets, as well, notable for lower electricity and real estate costs. What stands out most in the Phoenix data center market is the industry optimism about future demand. Data center developers have 707 MWs of capacity in the works for the area, which is more than any market in the U.S., save Northern Virginia. This surge in demand has brought new companies to the drawing board in Phoenix, supplementing growth from existing players. 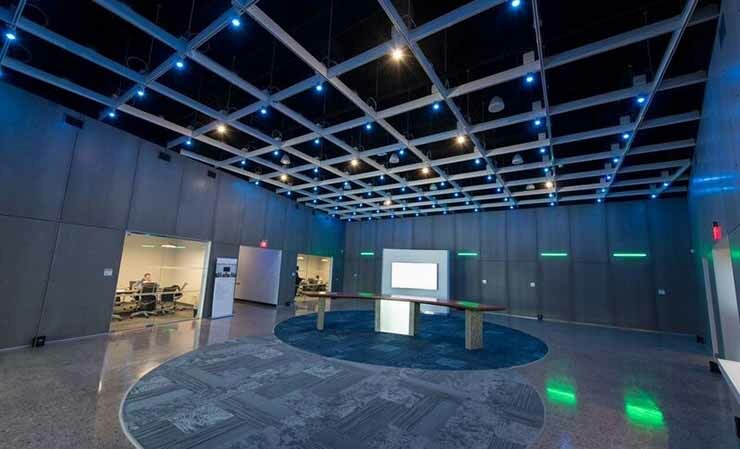 These include Iron Mountain, EdgeCore, CyrusOne, QTS Data Centers, Digital Realty, EdgeConneX and Aligned Data Centers, which have all announced new development or expansion of their current properties. What’s Driving Growth in the Phoenix Data Center Market? 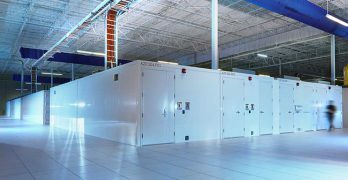 A variety of factors have contributed to growth in the Phoenix data center market, including a favorable business environment for colocation providers. In fact, a recent survey by IHS Markit shared that small business wage growth in Phoenix grew 5.14% in the 12-month period ending in March 2018 — the fastest growth rate in the U.S. As the Phoenix business climate has improved, it has created opportunities and growth for data center users and operators from across the United States. 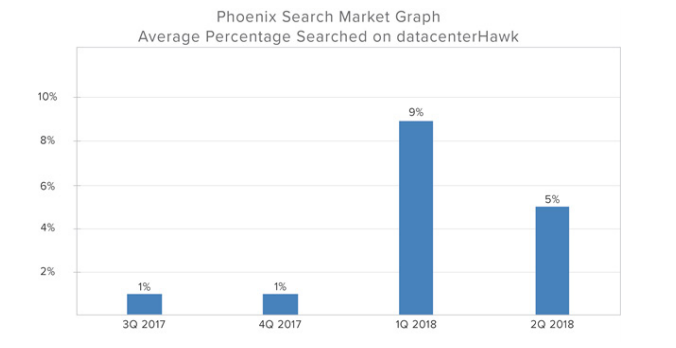 Search trends at datacenterHawk show a surge in customer interest in the Phoenix data center market in the first half of 2018. 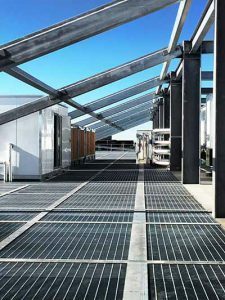 The Phoenix market provides a competitive colocation and cloud computing environment, and also touts reasonably low power costs, which can be a critical decision point for both data center providers and users. The Phoenix data center market poses a low natural disaster risk, with almost no history of damage associated with seismic, tornado, and flooding events. The city ranks on the lowest scale of earthquake threat, according to the United States Geological Survey. This low threat for natural disasters has helped craft the area’s reputation as a disaster recovery market. New tax abatement opportunities also have served to bring more data center businesses to the region. Arizona’s politicians have increased the appeal of the market to data center users by offering 10-year tax breaks on both data center equipment and labor services. Phoenix’ connectivity is also of note, home to impressive fiber infrastructure. CenturyLink, Electric Lightwave/Integra, Level 3, Sprint, XO, and Zayo all run long-haul fiber connections through Phoenix. Over the past 18 months, the amount of planned power to be delivered in Phoenix has nearly tripled, from 265 MW in Q1 2017 to 707 MW in Q2 2018. These are planned projects that could be built if there is demand. For example, in July 2018, Iron Mountain launched construction on a 550,000 square foot data center on its Phoenix campus; and EdgeCore, a new wholesale provider, officially broke ground on their Phoenix campus on a site located in Mesa. 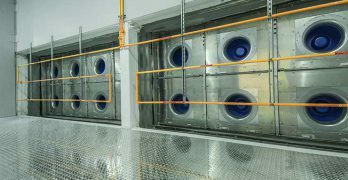 The Phoenix market’s growing traction with enterprise customers could be seen in the evolution of IO Data Centers (acquired by Iron Mountain in December of 2017), which has historically been among the largest providers in the Phoenix market. Many companies are so optimistic about future Phoenix data center demand they are already land banking and securiing property for potential development in the years to come. QTS has an 84-acre site in Phoenix to support its growing focus on hyperscale deals, while CyrusOne (68 acres) and Digital Realty (56 acres) have land in Mesa for future campuses. In looking at the Phoenix data center market as a whole, data center supply and demand appear to be well-matched, with a vacancy rate of 9.4 percent in the region. Data Center Frontier will be watching this number closely in coming years at it will be a key factor will be whether service providers are able to successfully pre-lease space, or seek to build new projects on speculation in order to have inventory available for large deals. 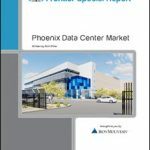 Explore the Phoenix Data Center Market further through Data Center Frontier’s special report series and ongoing coverage of the growing colocation industry in Phoenix which can be found below. 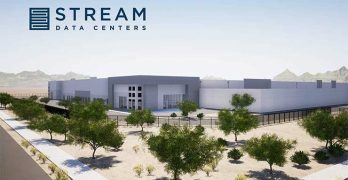 Stream Data Centers has acquired land for a major data center campus in Goodyear, Arizona, becoming the latest data center provider to expand in the red-hot Phoenix market. 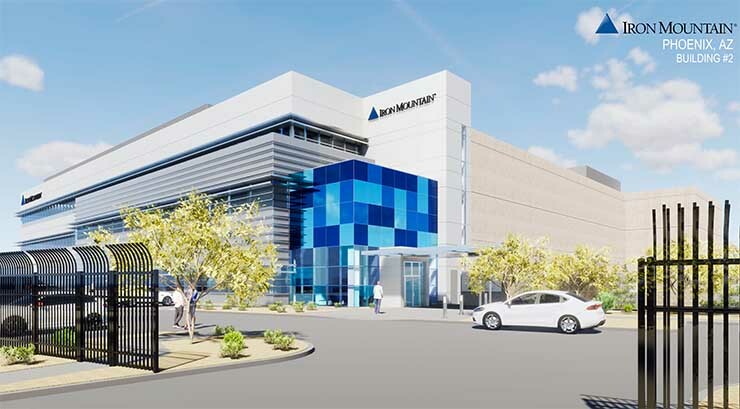 Vantage Data Centers has acquired land in the Greater Phoenix area to build a hyperscale data center campus, the latest step in an ambitious expansion which has kicked into high gear in recent weeks.